Made in Spain ... The famous Spanish brand Sancal is launching a line of textile accessories with an eccentric, souped-up style! This collection transports us into an unconventional, exuberant world full of colour, whose sole motto is creativity. Cushions, throws and bags are dressed with motifs created specially by artists, graphic designers and illustrators ... 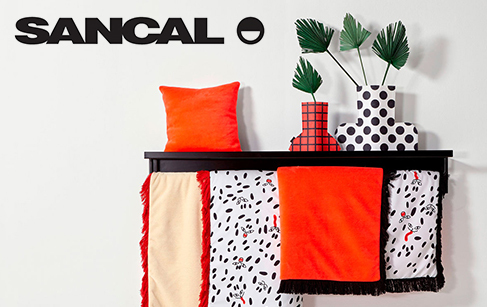 The Sancal design house is a true graphic laboratory with a decidedly urban, chic style. Offbeat and unusual, Sancal’s creations bring more humour and fantasy to life every day.